The Armor of God pamphlet helps teachers and leaders bring Apostle Paul's message to the Ephesians (6:10-18) to life. 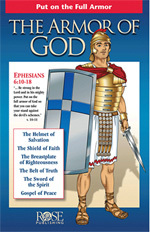 This bestselling pamphlet provides historically accurate background of a Roman Centurion's armor then draws vital correlations to the spiritual armor God gives his children: the Belt of Truth, the Breastplate of Righteousness, Feet Prepared with Gospel of Peace, The Shield of Faith, The Helmet of Salvation, and the Sword of the Spirit. Full-color and printable, this pamphlet helps those you teach learn to "stand firm in the faith." Help students put on the full armor of God when facing temptations and struggles. The key to this best-selling pamphlet is the insights brought by Paul's knowledge of a Centurion's armor. Having a correct picture in mind is important to accurately teaching and understanding this portion of Scripture. While many other illustrations of The Armor of God show armor from the Middle Ages, or other time periods, the Rose illustration presents historically accurate Roman armor. In a side- by-side printable format, The Armor of God pamphlet describes each piece of armor, its historical background, and its application to our spiritual battles today. The Apostle Paul knew how important it was for believers to understand the provision of spiritual armor that God made for them. Paul's teaching to the Church at Ephesus was born out of firsthand knowledge of Roman Centurions armor. He saw them up close on many occasions. 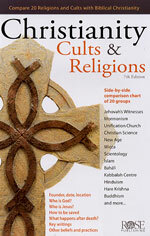 Best-seller Christianity, Cults & Religions pamphlet compares the beliefs of 18 world religions and cults at a glance! 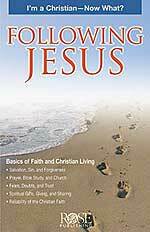 Know what each group believes about God, Jesus, Salvation, and more. Researched by some of the top scholars in the field, the chart features more groups than any other side-by-side chart and contains the most up- to-date information. Topics include: .  Founder, date, location .  Who is God? .  Who is Jesus? . 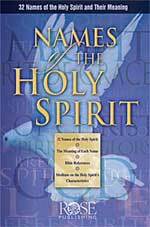  Who is the Holy Spirit? .  Salvation .  What Happens After Death .  Other Interesting Beliefs, Practices, or News This is the most up-to-date chart on the market. Most other charts do no have comparisons of Scientology, Bahá'í , Wicca, or Nation of Islam. 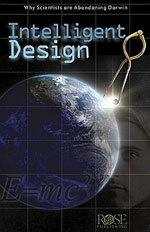 The major world religions are included, plus clear, easy-to-understand summaries of key beliefs. 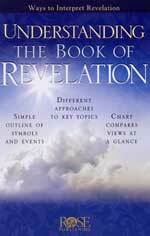 The major world religions are included, plus clear, easy-to-understand summaries of key beliefs. Pamphlet has 12 panels. Size: 8.5" x 5.5" and unfolds to 33 inches long. 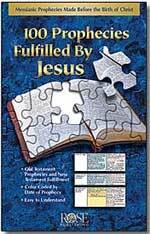 Pamphlet is 8.5"x5.5" and unfolds to 33"
There are many names for Jesus given in the Bible and each One will enrich your worship and prayer life. 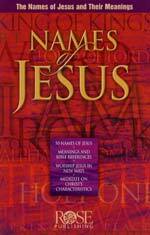 "The Names of Jesus" fold-out pamphlet presents each precious Name, the definition and a Scripture reference, and shows how to apply each Name to our daily lives. This pamphlet is 8.5" x 5.5", but unfolds to 33" wide. 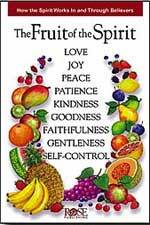 But the Bible tells us much more: The Holy Spirit is a Person who plays an important role in our lives. This chart shows the significant of each of these names and titles in Scripture. Pamphlet is 5.5 inches x 8.5 inches and unfolds 33 inches. Fits inside the cover of most medium size Bible covers. How Can I Know This God Who Does Exist? The most comforting and encouraging Scripture verses are brought together in this full- color, easy-to-use pamphlet for everyday life. The Bible Promises for Hope and Courage pamphlet presents 100 of the best-loved Bible verses for those experiencing sorrow, fear, and despair. 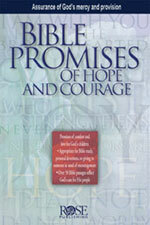 Each promise passage has been chosen to reflect Gods care for His people and to instill hope, courage, and comfort. Is a bestselling resource thats perfect for pastoral care, prayer ministries, lay counseling, personal devotions, outreach, and many other ministry situations. The greatest wisdom and comfort during troubled times is found in Gods Word. This easy- to-use resource, Bible Promises for Hope and Courage, brings together 100 of the most comforting and encouraging verses of Scripture to address lifes most difficult times. The 14-panel fold-out format presents a wealth of information in an attractive format. 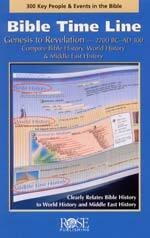 RP-317X-Pamphlet - Dead Sea Scrolls: Know the importance of the Dead Sea Scrolls to Christians. Did you know, for example? 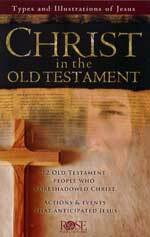 1) How the Dead Sea Scrolls help confirm the reliability of Old Testament translation over the years. 2) What they show about the culture and times of Jesus Christ. 3) What the people of Jesus' time expected from the Messiah. 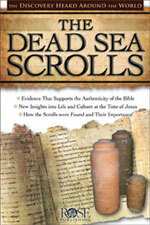 4) What the Dead Sea Scrolls really are (they are not the originals of the Bible, as a few people may think). They include the oldest copies of portions of the Bible that we have today. Co-authored by William Dembski, PhD., a leader in the I.D. debate, and Sean McDowell, MA, a popular nationwide speaker. 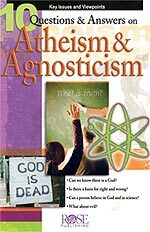 This 14-page full color pamphlet offers an easy-to-follow guide so you can understand this most interesting topic about God and science. Human history is about Jesus Christ. 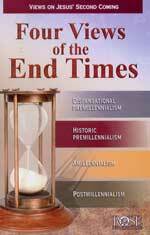 Throughout the Old Testament, we see God preparing history for the coming of Jesus the Christ. Not only did God utter specific Messianic prophecies which Jesus fulfilled precisely, but God also arranged the lives of certain key people so that they would serve as a specific "type" of Jesus. In quick reference chart format, this pamphlet highlights the lives of people who "prefigure" the central Life Who is the Life of the World Himself - - Jesus Christ! 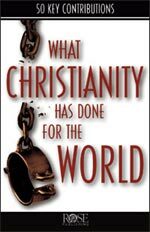 What HAS Christianity done for Western Society over the past 2,000 years? Karl Marx called religion "the opiate of the masses". Nietzsche called Christianity "the greatest of all imaginable corruptions". Richard Dawkins called God "arguably the most unpleasant character in all of fiction". This pamphlet is a valuable reference guide -- buy one for a skeptical friend and another for yourself. Pamphlet fits inside most Bibles, 8.5" x 5.5" unfolding to 33"
This beautiful pamphlet presents Jesus' birth as the fulfillment of Old Testament prophecies in a manner which can be used as a handout during Christmas. 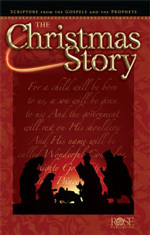 Uses traditional wording from Matthew and Luke, illustrated with beautiful full-color art. 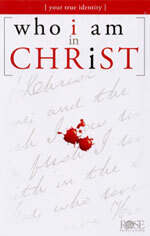 Ends with the Gospel Story and a forward look toward Christ's second coming. Also includes suggestions for using the pamphlet as a Christmas program script.  Why is Christianity the only way, and more. Get people on the right path so that they do not become discouraged and give up on their faith. 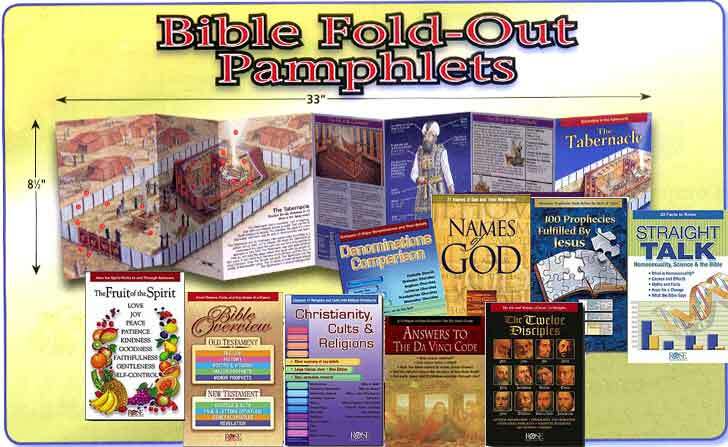 Pamphlet size: 8.5" x 5.5" Pamphlet has 12 panels and fits inside a Bible cover.